Tuition and fees cover only a portion of the school’s total operating expenses. NDV seeks gifts from families, friends, grandparents, alumni, faculty, staff and local businesses as it enables improvements to school facilities, helps fund school programs, provide for scholarships, and aids in the general operation of the school. 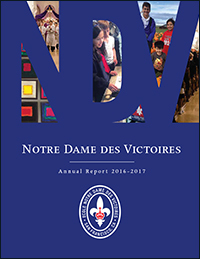 There are a number of ways to support Notre Dame des Victoires and depending on how you choose to help, your support is greatly appreciated and your gift is tax deductible. To find out more about any one of the campaigns listed below, contact the school office at 415.421.0069. Les Amis annually invites gifts of financial donations and/or prayers from various constituencies of the school and business community. This is the annual capital campaign that supports the school infrastructure and Scholarship Fund. Funds raised last year allowed for renovation to the girls bathroom and faculty bathroom. In addition, the WiFi cabling replacement project improved connectivity throughout the school. Each family with students in Ecole Notre Dame des Victoires is asked to consider a yearly pledge of $600 through the Annual Giving Program. The Annual Giving donation, contributed to Notre Dame des Victoires Church, allows the parish to subsidize the school by providing students with enrichment programs such as music, art, drama, a school counselor, repairs and maintenance of the school plant as well as other needs. While $600 is our goal, we understand that some will be in a position to give more, some less, and others may not be able to give at all. 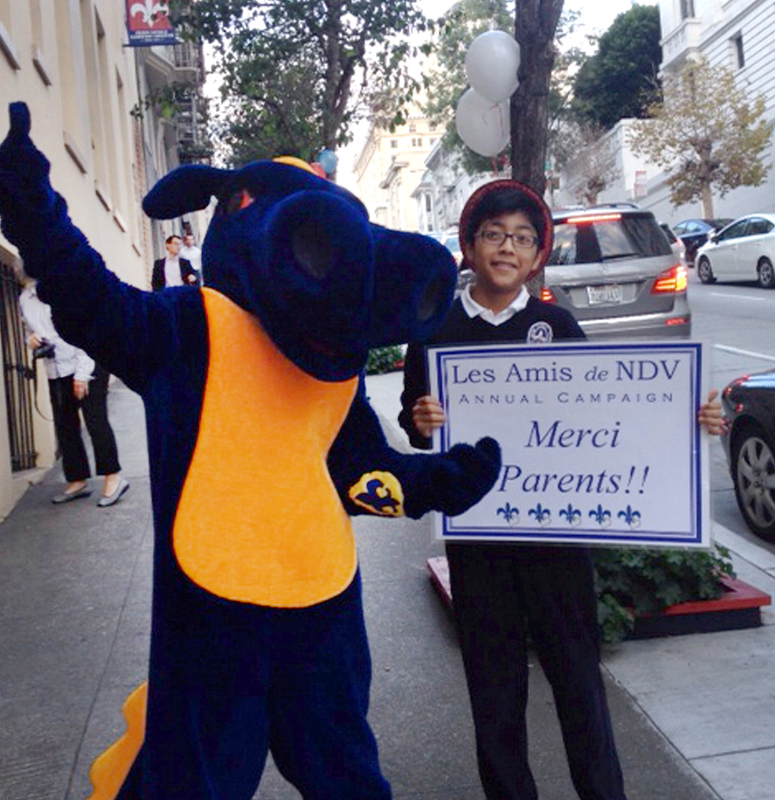 NDV is grateful for the generous contributions from all. NDV’s active alumni, many of whom have become prominent business and civic leaders, continue to maintain close ties with their alma mater, testifying to both NDV’s enduring benefits and its vitality as a community. We are grateful for alumni who generously give to NDV. Many corporations provide matching funds for donations which is a great way to maximize your tax deductible gift. Be sure to check with your employer in order to take advantage of the opportunity. When parents clip and collect the Boxtops for Education coupons found on General Mills products, NDV benefits. Each coupon is worth 10 cents. Funds raised go to the NDVPA to support various student activities. 5% discount on qualifying Target purchases. This includes most items, with some exceptions including gift cards, prescription drugs and medical services. Free Shipping from Target.com If you would like to participate in this simple fundraiser, you will need to have a Target REDcard debit or credit card. Call 1-800-316-6142 or visit www.target.com/tcoe to designate Ecole Notre Dame des Victoires as your school. Our school ID is 2961. NDV benefits from our families and friends registering their credit cards and Safeway cards at www.escrip.com. This is a wonderful way to passively give money to NDV without writing a check! Our group ID# is 136952439. NDV also benefits when you shop at Amazon.com by using the AmazonSmile program. When navigating into Amazon.com from here, 0.5% of your purchase price goes directly to NDV PA. If you shop at Sports Basement, be sure to mention NDV School when you check out at the register. You will receive 10% off your purchase and Sports Basement gives a percentage of the sale back to NDV.